8“The master commended the dishonest manager because he had acted shrewdly. For the people of this world are more shrewd in dealing with their own kind than are the people of the light. 9I tell you, use worldly wealth to gain friends for yourselves, so that when it is gone, you will be welcomed into eternal dwellings. One of the most intriguing parables of Jesus has to be the Parable of the Shrewd Manager. In that story, Jesus told his disciples about a rich man who had decided to terminate the services of someone he hired. The NIV describes this "someone" as the “Shrewd Manager.” This shrewd manager had heard about his impending dismissal. Worried about his future, he went ahead to do something rather unthinkable. Calling in each of his master’s debtors, he went ahead to give his own version of Black Friday sales. For the first debtor who owed 450 gallons of olive oil, the manager dished out a 50% discount. For the second debtor who owed 1000 bushels (about 30 tons) of wheat, he immediately offered a 20% discount. Other than these two debtors, there were no mention of other such deals but it is safe to assume that these two examples reflect what he had done to the rest. The Shrewd Manager was offering a Great Middle-Eastern Sale of the Century! For those of us familiar with earthly sensitivities and the need for right ethical behavior, this story should rub us on the wrong side in at least three ways. First off, how can we ever justify giving huge discounts without consulting our superiors? In the service sectors, anything out of the ordinary require the approval or signature of the next line of authority. Over at the Starbucks counter, if there is a dispute, or when the customer asks for something out of the ordinary, a common strategy is for the barista to consult his or her manager in charge. Whether it is giving out discounts or providing additional features at a lower cost, the employee usually does not have the authority to go beyond his/her duty. When we go to the bank, a withdrawal exceeding a certain amount would require additional levels of clearance from the branch’s supervisors. From airports to supermarkets; car sales offices to corporate deals, getting approvals to give deep discounts are needed. Last week was US Thanksgiving, followed by the traditional mad rush to go shopping after the Turkey dinner. Across the United States, people would hop onto their vehicles to rush to the malls or department stores for the post-Thanksgiving event: Black Friday. The word “Black” is used to describe the dark midnight hour where businesses like Walmart, Target, Sears, Nordstrom, etc would open their doors at the stroke of midnight to give shoppers a magical night of discounts galore. It has become an annual affair where people would fight over goods at Walmart and other popular discount stores. 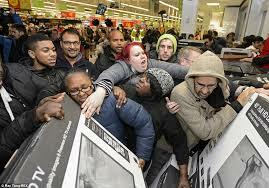 Why must people buy a new TV each time Black Friday comes? What’s the point of buying something cheap but suffer expensive damage to one’s reputation when filmed fighting on Youtube? Aren’t people aware that the deeper the discounts, the more likely that discounted item is something the business is trying to get rid of quickly? The Shrewd Manager in the parable did his own Middle Eastern Black Friday sale. Depending on the items owed, he gave different sets of discounts. If we observe carefully the items being discounted, some of us would be intrigued further that the more expensive the item, the deeper the discount. Compare and contrast olive oil and wheat. Surely, it’s more expensive to buy olive oil compared to wheat. I’m sure there is something we can learn about mercy and grace there. The problem is that he did it on his own initiative directed according to his own whim and fancy. One of the biggest no-no in corporate matters is that we cannot use the company’s resources for self-gain. It is a criminal breach of trust. In many countries, this is also linked to bribery and corruption. In Canada, politicians who flout their positions are often brought in for questioning by representatives of the justice system. Even the newly elected Prime Minister, Justin Trudeau’s hiring of two nannies for his children came into scrutiny because he used taxpayer’s money to pay the salaries of the nannies. The government justified it as appropriate as long as comes within certain guidelines. Whether right or wrong, it hits a raw nerve every time public money is being used for personal gains. People who are in high positions often have their employers giving them perks for being at the top. It is common for top executives who are given company cars driven by personal chauffeurs, large personal allowances, and special domestic help to take care of young children while they jet around the world on company business. 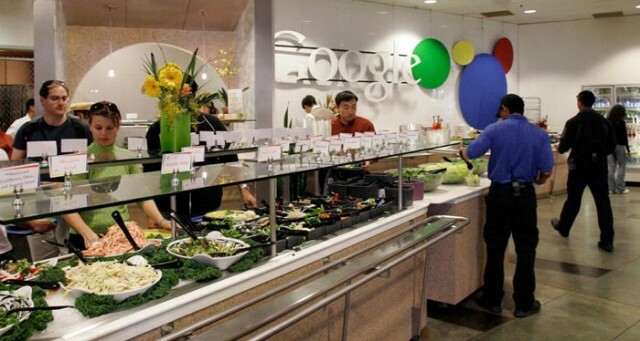 Even in high-technology places like Google, Microsoft, and Facebook, employees get special treatment to free restaurant food, free pantry snacks, free babysitting, and free entry to gyms and massages too! I heard of a story of a Chinese intern who abused these privileges by conducting secret tours to Google for personal gain. Hired as a Google intern, he would solicit his own personal clients from outside, gathered them at Google headquarters, gave them a personal tour of the premises, and eventually invited them for free food at one of Google’s many restaurants! He collected a fee from each individual for the tour and profited greatly. He was found out and promptly fired. In our corporate world, it would be unthinkable for us to justify using company resources for personal benefit. Yet, the scandal in the parable runs even deeper when the Master of the parable, instead of nailing this scoundrel, commends him instead! What kind of a logic is this? How can Jesus justify the dishonesty being done by the manager? Should not the boss be angry at the discount without being asked in the first place? Should not the rich boss be furious at the way the shrewd manager is benefitting at the expense of the company? Shouldn’t the shrewd manager be scolded, taken to task, and sent before a tribunal of judges to be condemned? Yet, the behavior of the rich man throws us readers off course. Whether it is the performance of your favourite football team, the company performance each quarter, or the numbers you see each week in Church, people use victories, profits, and numbers, to measure success. The parable had all the numbers but in the wrong direction. Instead of breaking even, the Master had to suffer a loss. Instead of earning profits, the business is seeing a major dip in the annual profit and loss statement. How can any boss be happy? Not this boss in the parable. Seeing beyond the numbers and the unscrupulous tactics employed by the manager, Jesus points out three big lessons. First, we need to learn wisdom, even if it means learning from the world. This reminds us of the all-truth-is-God’s-truth argument. If something is true, why restrict it only to Christian labels? That is one reason why I believe that learning cannot be strictly one-dimensional. When listening to music, Christians should not dichotomize between Christian and non-Christian music. Distinguish between good and bad music. For there are so called Christian music that are pure garbage. There are also non-Christian music that deserve to be played over and over again. The same applies to daily lessons. There is much to learn from other people even when they do not believe in the same God as we do. The Master was able to see beyond the wrong deeds and to recognize the virtues of the deeds. This does not mean we emulate the exact deeds of the unscrupulous manager. It means for us that if such a dishonest person can do something (dishonorably) that the Master can commend, how much more we can do the same (honorably) in our own unique situations? Second, Luke 16:9 tells us to use the worldly wealth in order to gain friends. Riches, possessions, material goods have a more important function. They can help build relationships. This is something that the shrewd manager was commended for. He manages to see the more important things in life. What does it profit a man to gain the whole world but loses his friends? The Christmas Carol of Ebenezer Scrooge is a case in point. Being miserly and unfriendly, it takes a ghost to wake Scrooge up from his unpleasant slumber. He was shown the beauty of Christmas in relationships. All the things that he has been holding so tightly can be released to the redemption of his friendships, many relationships, and his own personal redemption. There are more to life than hoarding our own money. This is exactly what the shrewd manager had done. He used his position to win relationships, and along the way also gained a good reputation for his Master. Third, it is about stewardship of what we have not daydreaming about what we do not have. We read in Luke 16:10 of how Jesus looks at the way we deal with the things we have, and not what we do not have. He says: 10“Whoever can be trusted with very little can also be trusted with much, and whoever is dishonest with very little will also be dishonest with much. One of the tragedies of the Christian life is for people to be passively sitting on piles of gifts and talents that they have. As they fixate themselves on the things of others, they lose sight of the very skills they have. They envy the powerful worship leader who seems to know so many songs and play multiple musical instruments, forgetting that they too have a voice that can praise the Lord earnestly and honestly. They are jealous of the powerful preacher who seem to understand the original languages well enough, and comprehends the Bible so well that their sermons are so effective. They then forget that they too can do their own research, use Bible tools, and to learn personal lessons too. By being stuck in the good talents others have, they fail to see the very gifts that they have. A good steward will take stock of one’s gifts and use them accordingly. All of these are to rock us out of our sense of complacency about self-righteousness and self-willed religion. We can do all the things right, but ultimately, all of our deeds of righteousness are like filthy rags (Isa 64:6).Here is my point. Be on your best behaviour, but do not expect to apply God's behaviour to the standards of our own. Let God be God. Beware of turning God into our own image with prim-and-proper spirituality.